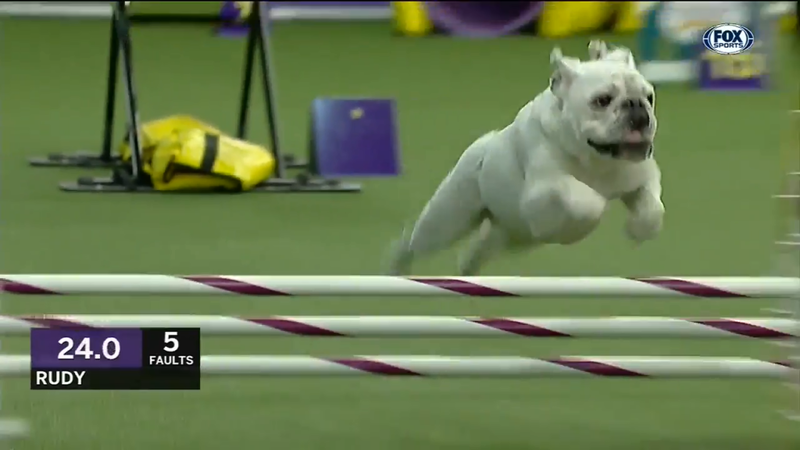 Rudy the bulldog put on an incredible performance in the agility drill at the Westminster Dog Show on Saturday. A border collie named Verb won the agility contest at 32.05 seconds. Rudy finished at 46.63 seconds (officially 51.63 seconds after receiving a fault). From #Westminster Masters #Agility Championship: meet Rudy the #Bulldog . Quite a competitor. You can see he loves the camera! Such ❤. All bulldogs are the same, here’s mine going through rigorous training.